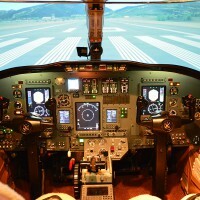 LOFT provides unprecedented, state-of-the-art training services to pilots in simulated and real-world environments. We are committed to pilot education. Unbeatable Pricing in Sunny San Diego! LOFT’s proprietary curriculum and cutting edge equipment ensure the best training experience for pilots seeking initial type ratings, ATP certificates, SIC training, or insurance-approved currency training. We offer a variety of comprehensive programs designed to meet the individual needs of advanced and career-oriented pilots. Our accelerated courses include ground school, cockpit procedural training, flight training, and a FAA checkride. The programs provide clients with a widespread understanding of aircraft systems and flight characteristics should they wish to transfer aircraft or upgrade their flight skills. We can cater to the needs of aircraft owners as well as be the last training segment for aspiring airline pilots. 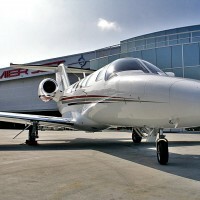 And although we specifically focus on Citation aircraft, the knowledge obtained readily transfers to any jet aircraft. 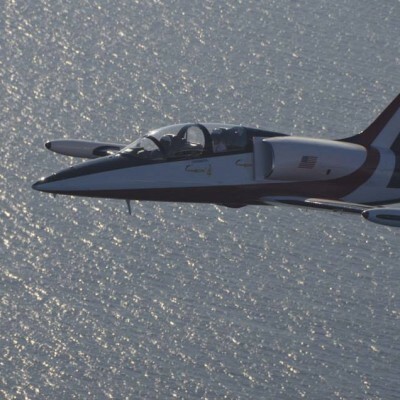 This program is an accelerated course that includes 5 hours of time in the aircraft. Additional hours may be purchased for those who wish to gain more aircraft experience. Training in your own aircraft can also be arranged. This course is designed to give you the knowledge and tools you need to act as a qualified crew member. Whether you desire a job in aviation or you are interested in flying your own aircraft, know that you will receive the proper introduction to the aircraft systems and aircraft performance. This course includes an IFR review to sharpen your skills and get you ready to tackle the instrument environment in the jet. This course is designed to sharpen your knowledge of the aircraft systems, aircraft performance, as well as the IFR environment. Emphasis is placed on real-world scenarios, learning from prior accidents, and practical application of systems knowledge. Take advantage of the small class sizes and use the time to get your questions answered. The instructor will tailor the class to meet your individual needs and cover topics that are important to you. The course is also designed to help you pass your checkride with ease and have fun in the process. This course is designed to sharpen your knowledge of the aircraft systems, aircraft performance, as well as the IFR environment. Emphasis is placed on real-world scenarios, learning from prior accidents, and practical application of systems knowledge. Take advantage of the small class sizes and use the time to get your questions answered. The instructor will tailor the class to meet your individual needs and cover topics that are important to you. This course is designed to satisfy insurance company requirements and does NOT include a checkride with a designated pilot examiner. Be the first to review LOFT Citation Type Ratings!